When spring comes to mind, you might not immediately think of finding the perfect spring jacket. You’d probably think florals, spring dresses and spring skirts. But given that it’s the transitional season between the extremes of hot and cold, it is quite an important wardrobe staple to consider. Finding the perfect spring jacket can take a while but when you do find the one, you’ll surely know it. Not only will it flatter you but it’ll have a great fit, be in a complimentary colour and work perfectly for the in-between weather. It won’t be too heavy or too light, too casual or too formal and it’ll work for multiple occasions. You might be wondering if one piece of clothing can truly work such wonders but the right one can. 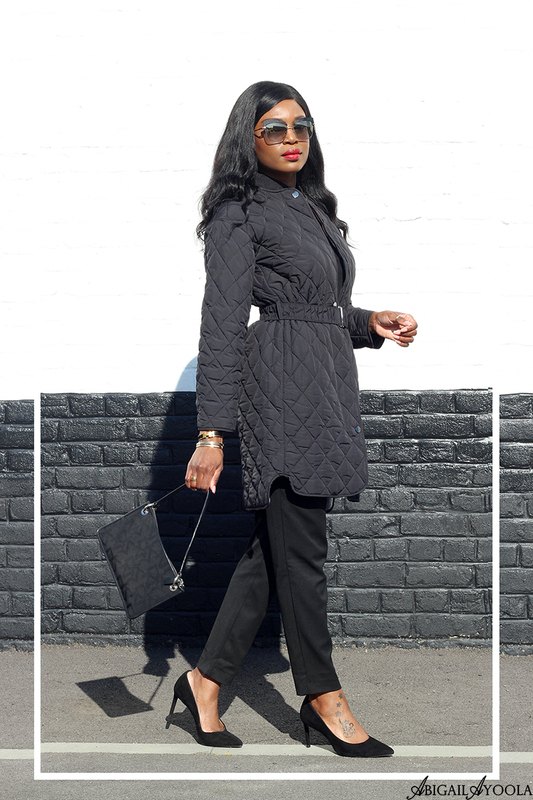 This quilted longline bomber jacket I’m styling was a perfect random find for me. Its waist belt cinches my waist in flawlessly, which gives a lovely silhouette. It also gives the impression that I made more of an effort as opposed to a loose baggy look. The length of the jacket is ideal for my style preference and the quilting adds a little luxury. There are many other spring jacket options that work perfectly for different shapes and styles. 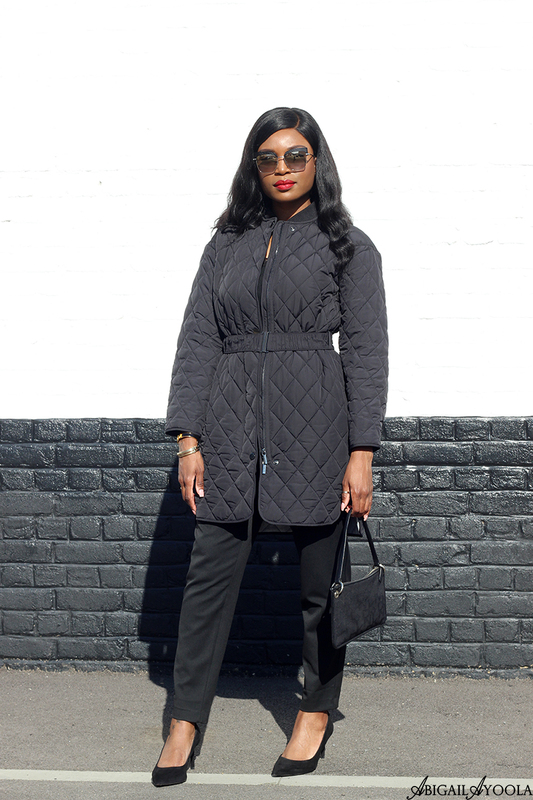 If a quilted jacket isn’t your thing, consider a long light trench or a relaxed coat like the one I styled in my black outfit for the last days of winter. Other style options include a leather jacket, a linen or lace coat, kimono jacket, mac or classic bomber jacket. If you’re all set for the staple styles, why not indulge in statement pieces. Like a longline denim jacket, check or animal print coat or even a daring vinyl piece. For staples, you’re better off sticking with muted colour tones. For a statement, don’t be afraid to stand out in bold colours or spring pastels. Your perfect spring jacket is out there waiting for you. Yes finding a good spring jacket can be a challenge as the weather is so changeable. Though I do have two that I like but one is bit warmer then the other. This quilted one is so smart look and fits you wonderfully! Your write-ups are amazing. Keep sharing these types of amazing articles.